The Registry is a heart and soul of any Windows system. It contains information that controls how your Windows appears and how it behaves. Most applications today use registry to store configuration and other important data. When you install application, new registry entries created. These entries should be deleted automatically when you uninstall the application. Unfortunately, it does not always work that way. Sometimes you find that several applications fail to remove their own registry entries. These entries will become obsolete. 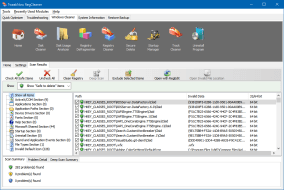 After a long period, after installing and uninstalling a lot number of applications, your Windows registry may contain a large number of obsolete entries. 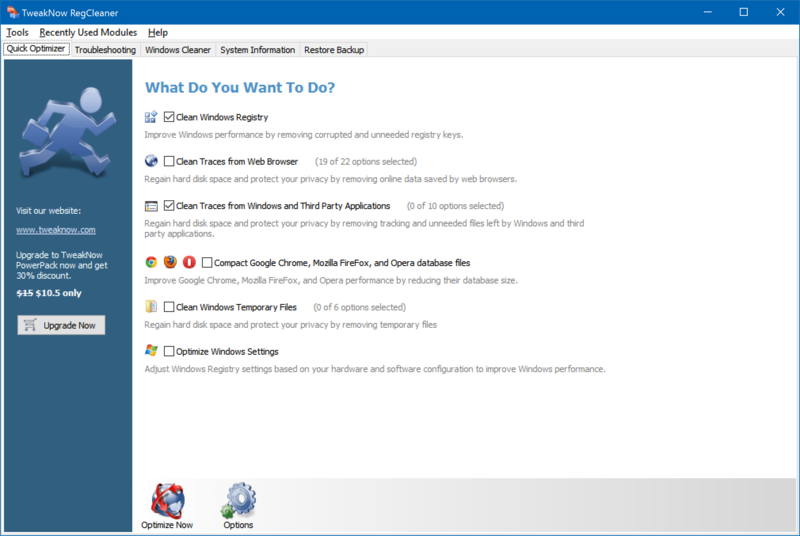 These will significantly increase the registry size and thus will slow down your computer, because Windows will need more time to load, search, and read data from registry. Accurate: using complex algorithm TweakNow RegCleaner 2011 accurately identify obsolete entries. Secure: TweakNow >RegCleaner automatically create backup file before deleting obsolete entries from your registry. Free: Best of all -------it's FREE! 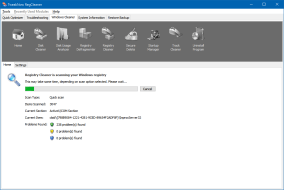 System Information: improved support for Windows 8.1. System Information -> Windows: detect installed .NET and Java framework. System Information -> Windows: detect installed Flash and Silverlight player. General: added support for Windows 8.1. Quick Optimizer & Track Cleaner: added support for Opera 15 and higher. Quick Optimizer: added support for defragmenting Opera database files. Disk Usage Analyzer: improved user interface. Disk Usage Analyzer: added 20 biggest file list section in he summary window. Disk Usage Analyzer: now the scan summary result can be saved to a file. Disk Usage Analyzer: improved support Windows XP. System Information -> Operating System: added Task Scheduler module. General: added Recent Used Modules menu. General: improved support for Windows 8. System Information: now report can be saved in HTML file format. Windows Secret->Search: fixed problem search query failed to show correct results. System Information: Added Optical Drive module. System Information -> Video: Added OpenGL Driver module. System Information -> Operating System: Added Startup Items module. System Information -> Operating System: Added Audio and Video Codec module. 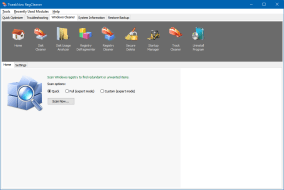 System Information: Added Environment Variables, Special Folders, and Windows Services module. General: Added support for Windows 8 ReleasePreview. Windows Cleaner -> Disk Usage Analyzer: Improved disk scan engine performance. Windows Cleaner -> Disk Usage Analyzer: Added report for common files (bmp, png, jpg, wav, etc) found during disk scan process. General: Added support for Windows 8 Consumer Preview. System Information: Added support for the latest hardwares (AMD A-Series, AMD FX, Intel Sandy Bridge, etc). Trouble Shooting : Added feature to check if update for graphics card driver is available (currently only works with AMD/ATI and NVIDIA cards). Quick Optimizer: Added support for cleaning Google SketchUp 8, Adobe Acrobat X Pro, Adobe Dreamweaver CS5.5, Adobe Fireworks CS5.1, Adobe Illustrator CS5.1, Adobe Photoshop CS5.1, Adobe InDesign CS5.5, Adobe Flash Professional CS5.5. Quick Optimizer: Added support for Microsoft AntilMalware, Steam Client, Windows Defender, Adobe AIR, Microsoft Search Enhancement Pack, and Microsoft Silver Light. Quick Optimizer: Improved support for Adobe Flash Player, Media Player, and QuickTime Player. 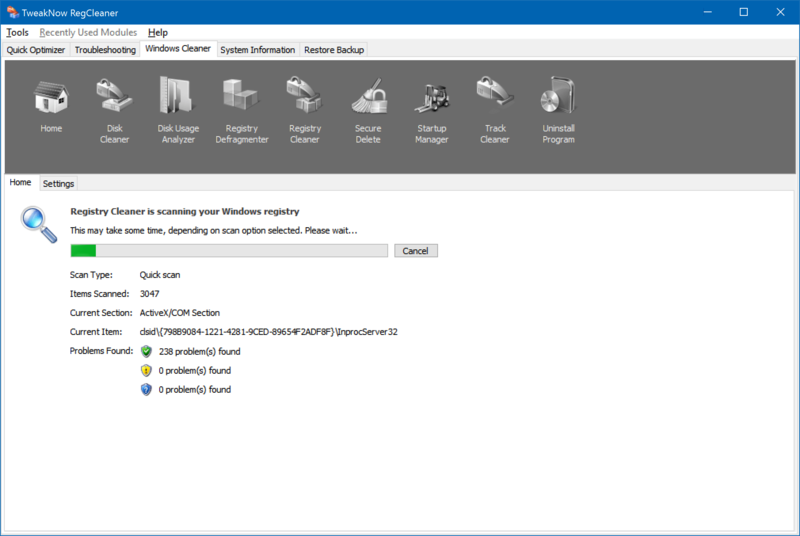 Windows Cleaner: Added Home section. Miscellaneous Tools: Added Home section. General: Added Trouble Shooting section. General: Moved Rebuild Icon Cache and Reset Internet/Network feature from Quick Optimizer section to Trouble Shooting section.